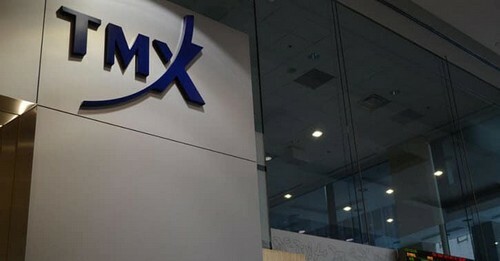 A new decision by TMX Group, the Ninth largest stock exchange company in the world, heralds the start of their own crypto brokerage service with a focus on Ethereum and Bitcoin. The TMX Group’s previous successes include many great projects, including the Boston Options Exchange, Toronto Stock Exchange, as well as Montreal Exchange. When all three of these platforms are put together, their market cap goes beyond three trillion dollars. Their plans for expansion take a new turn with this decision to open their own crypto brokerage service called Shorcan Digital Currency Network. The decision came unexpectedly, but the company feels pretty confident in it. Their announcement states that their focus would include the two biggest cryptocurrencies out there, Bitcoin and Ethereum. This project will be the result of a collaboration of TMX and Paycase, Toronto’s decentralized financial services platform. Naturally, crypto enthusiasts are welcoming this decision, since it provides cryptocurrencies and the crypto market with a fresh start. Many believe that this development couldn’t have come at a better time since the crypto market has had its issues lately. There is some confidence that these plans will bring cryptocurrencies one step closer to official legitimization, and make them a recognized form of payment. Joseph Weinberg, the active CEO of Paycase, stated that this partnership might just be enough to build the first bridge between traditional financial markets and digital currencies. He said that this will be the first public desk for crypto brokerage and that it solves some major problems within the blockchain ecosystem. Shorcan Digital Currency Network is the first of many expected platforms that will help bridge the gap between investment markets. They are expected to completely transform the way people spend their money, and a large part of that process is spreading awareness. So far, cryptocurrencies have had issues when it comes to establishing themselves in Canada and similar countries, since they’ve had a reputation for being something of a gamble. Because of the issues that cryptos had with legalities, a lot of crypto enthusiasts have been waiting for a large force to make a move similar to this. Now that TMX and Paycase’s collaboration has started, many believe that spreading awareness and trust in such large players might be enough for people to open up towards crypto, and may even help with stabilizing cryptocurrencies and eventually lead to their total legalization in countries like Canada.